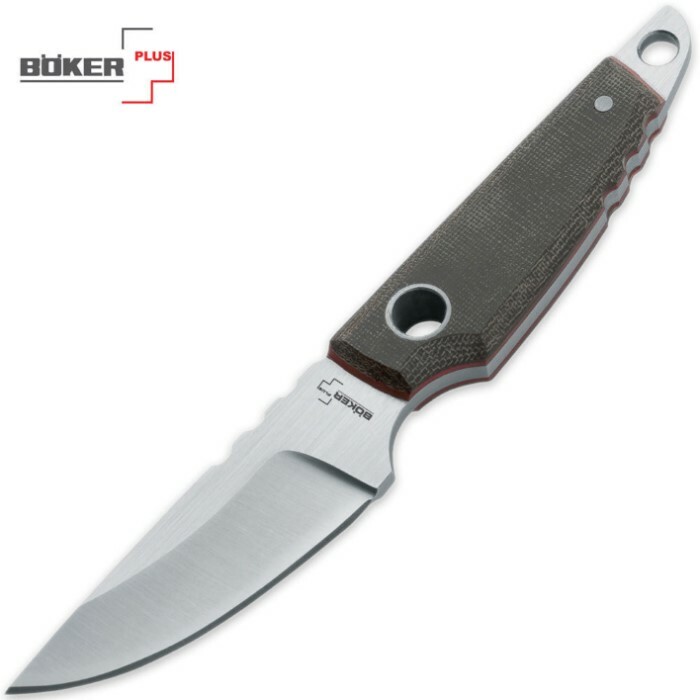 Boker Plus Nippon Necker Fixed Blade Knife | BUDK.com - Knives & Swords At The Lowest Prices! The Boker Plus Nippon Necker knife can be used as a neck knife or a belt knife. This truly versatile piece offers a sturdy grip and a comfortable bellied blade.